April 2018 saw the Centre for Catholic Studies (CCS) mark its 10th anniversary with a celebratory conference entitled Catholic Theology in the Public Academy: Searching the Questions, Sounding the Depths. This was a very happy event which was built around a series of excellent panel discussions and short paper contributions by a number of leading international Catholic theologians. Each session was variously focussed on the contemporary task of Catholic theology, the challenges and questions which need to be engaged, and the distinctive opportunities for pursuing this task in the UK public academy. The conference programme also featured many outstanding short papers by postgraduate students and early career academics from various institutions around the world, many of them alumni of the CCS who had returned to share in the celebrations. A particular highlight of the event was the Mass of Thanksgiving in Durham Cathedral, for which the Dean and Chapter had very generously given extraordinary permission. We were delighted that so many of the CCS's friends and members were able to join in the celebrations. Resources from the conference can be found below. More will follow - please check back. The addresses above give a flavour of the first ten years of the Centre; for information about the CCS's development priorities for the next 10 years and beyond, please see our short booklet entitled Shaping the Future of Catholic Theology in the Public Academy. Academic panel comprising the following presentations: Prof. Karen Kilby: Mystery and the Contours of the Church: Revisiting Rahner; Prof. Paul D. Murray: The Keys of the Kingdom: On Picking the Locks and Unblocking the Stops on Genuine Mutual Accountability in the Catholic Ecclesial System; Prof. Nicholas M. Healy: Making Sense of Dissent: An Ecclesiology of Pneumatological Tension. First academic panel presented at the conference marking the 10th anniversary of the founding of the Centre for Catholic Studies, Durham University (www.centreforcatholicstudies.co.uk). Conference entitled ‘Catholic Theology in the Public Academy: Searching the Questions, Sounding the Depths’, 18-20 April 2018. Academic panel comprising the following presentations: Dr Alana Harris: 'How Far Can You Go?' 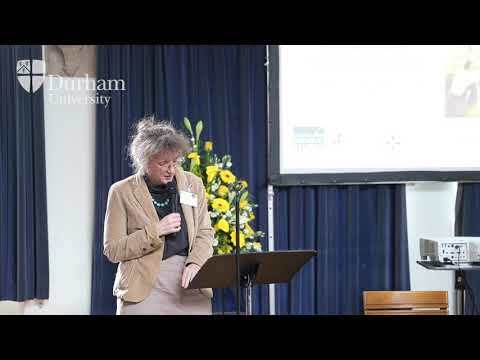 Researching Catholic Sexology and Devotional Piety Within the Secular Academy; Dr Tricia Bruce: Invitation to Sociology of Catholicism: Caveat Emptor. Chaired by Dr Anna Rowlands. 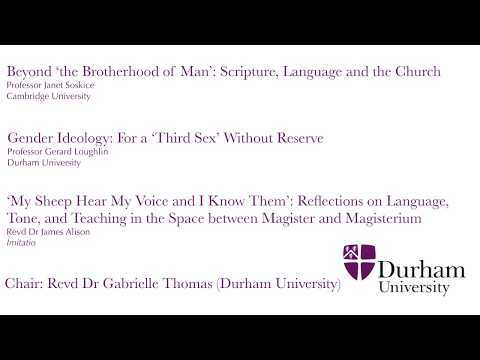 Third academic panel presented at the conference marking the 10th anniversary of the founding of the Centre for Catholic Studies, Durham University (www.centreforcatholicstudies.co.uk). 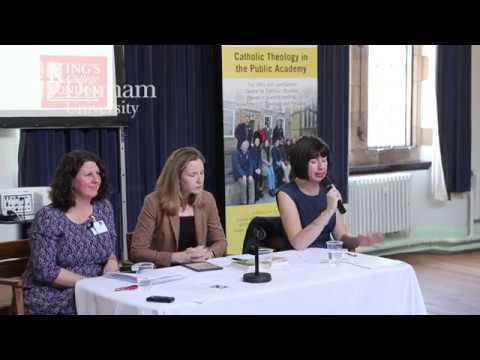 Conference entitled ‘Catholic Theology in the Public Academy: Searching the Questions, Sounding the Depths’, 18-20 April 2018. Many thanks to Anthony Kelly for the images and video footage shown on this page.